Preheat oven to 325°. Cut peppers lengthwise in half; remove seeds. Place in a 15x10x1-in. pan coated with cooking spray. In a large skillet, heat oil over medium-high heat. Cook and crumble turkey with onion, garlic and seasonings over medium-high heat until meat is no longer pink, 6-8 minutes. Cool slightly. Stir in tomatoes, cheese and bread crumbs. Fill with turkey mixture. Sprinkle with paprika. 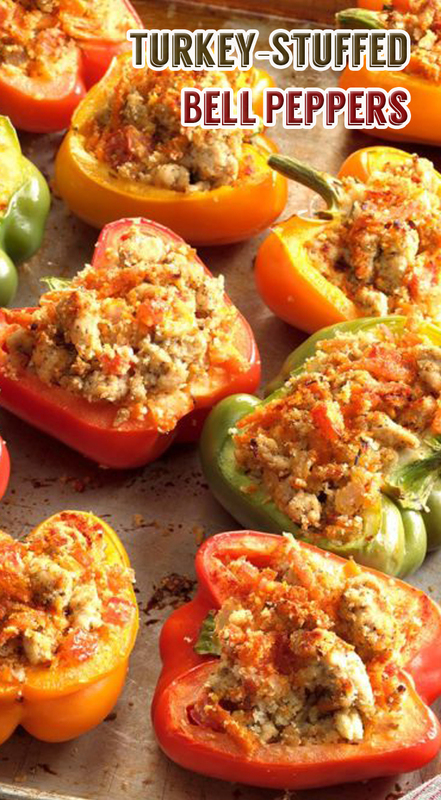 Bake, uncovered, until heated through and peppers are tender, 20-25 minutes.